Window graphics can be utilized for any and all types of businesses! They have the ability to grab the attention of potential customers. Graphics installed on windows can showcase products, specials/sales, contact information, or even just a company’s brand logo and brand image. They are also versatile enough to be used to advertise on the storefronts at a business’s primary location or on the windows of cars to essentially serve as a moving billboard. Window graphics on store fronts make a bold statement. They are an excellent way to maximize advertising space by using the surface available on a storefront or even an office window. Graphics and lettering can be used for different situations. The most common use of window graphics on store fronts is to mention the name of their business and hours of operation. More elaborate window graphics can be used to increase branding, promote the business, and draw attention. They can last for several months or several years and can easily removed with no damage to the windows. 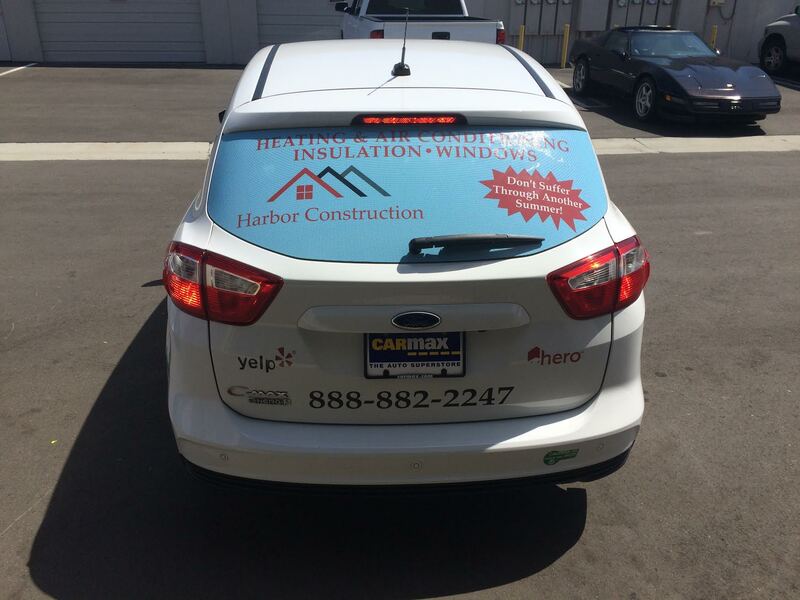 On cars, window graphics can stand alone or they can complete the look of a total vehicle wrap. The perforated window decals will appear opaque from the outside, but allow complete visibility from the inside. To reiterate, perforated window graphics do not interfere with the ability or the driver or passenger to see out any of the windows! The advantage of using window graphics is that they can be as permanent as you would like. With over 50 years of combined experience in graphics and marketing, the Full Sail Graphics & Marketing team is confident that we will deliver quality graphics on time and on budget. If you are looking for creative marketing solutions (like window graphics on storefronts or cars), please feel free to give us a call at (714) 451-8428 or visit our website at //fullsailgraphics.com.